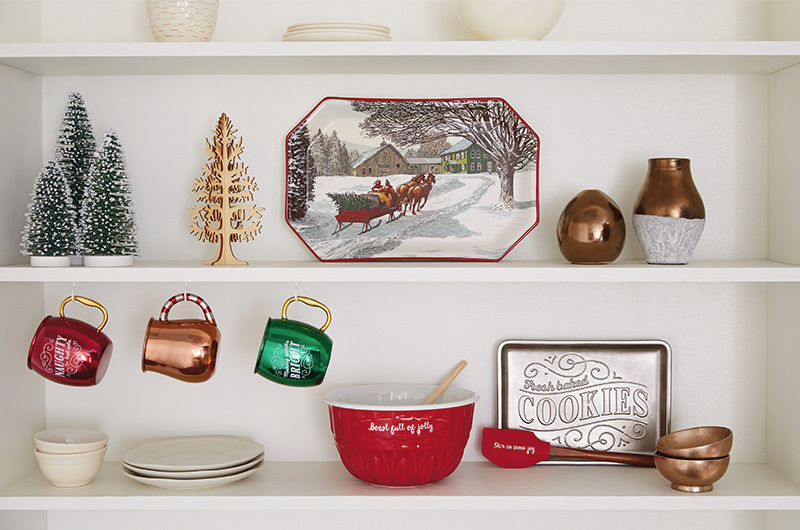 Each of us probably has a slightly different vision of what makes a home extra inviting at the holidays. What comes to mind when you think of a “cozy Christmas”? A welcoming place to come in from the cold? A softly lit tree? Sweet smells drifting from the kitchen? Everyone talking and laughing around the table long after they can’t eat another bite? Whatever your unique vision, there are some surefire ways to help bring it to life. And the nice thing is, you can go as all-out or as low-key as you like with your decorating. 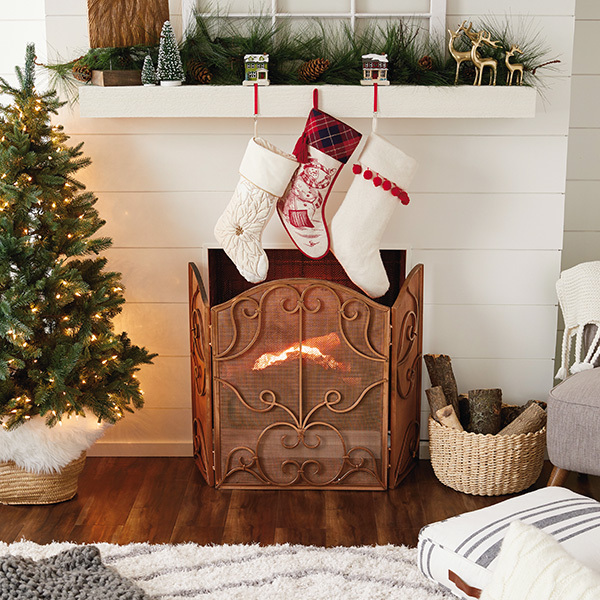 Here are a few key places to focus your attention to make your home cozy at Christmas. Layering textured blankets and pillows creates a cozy atmosphere. Twinkle lights, candles, and firelight warm up the space. Baskets are great for collecting different objects such as blankets, pillows, and firewood. Knit, felt, or quilted stockings add a nice bit of texture. Fresh evergreen on the mantel brings a little bit of the outdoors in, reminding you how nice it is to be cozy inside when the weather is frightful! Of course, no cozy holiday spot would be complete without something hot to sip. May we suggest hot wassail or a nice mug of hot cocoa? Think about inviting aromas, too. A live Christmas tree or fresh greenery could add this. So could a scented candle or essential oil diffuser. Having something yummy roasting, baking, or brewing in the kitchen does the trick as well! It’s not a bad idea to have an activity planned either. The little bit of structure it provides can help bring everyone together. A board game or list of conversation-starter questions works. So does a white-elephant exchange. Whatever you do, relax and remember: You don’t need to make your space or your snacks picture-perfect. You just want to put your guests at ease, and make the time together warm and comfortable for everyone. A Space to Eat, Drink, and Be Cozy! Have baked goods and comfort foods ready to go for guests. Need a few ideas? Try one of the treats from this globally inspired list. Spread the love (and the work): Invite guests to bring a snack or dish to share. Don’t forget to provide a little salty to balance out all the holiday sweets. A cozy and comfortable table setting to have a conversation is always inviting. A side table with an in-progress puzzle or crayons and coloring pages gives everyone a relaxing option to pass the cold day and nights. When making and baking with friends, have tools and ingredients out and ready. Go ahead and leave the dishes for later. A big part of creating a welcoming holiday home is being present with the people you care about. And who knows—maybe some jolly elf will sneak in and do them for you while you’re busy chatting! 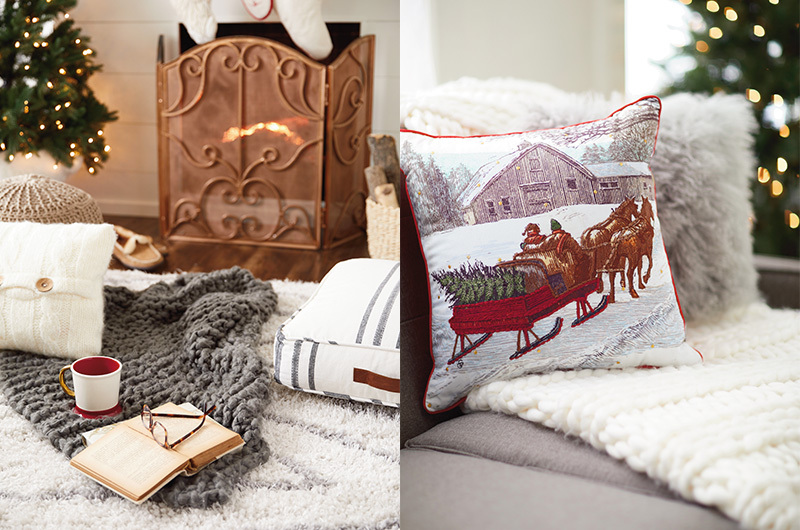 What’s your favorite way to create a cozy Christmas? Let us know! 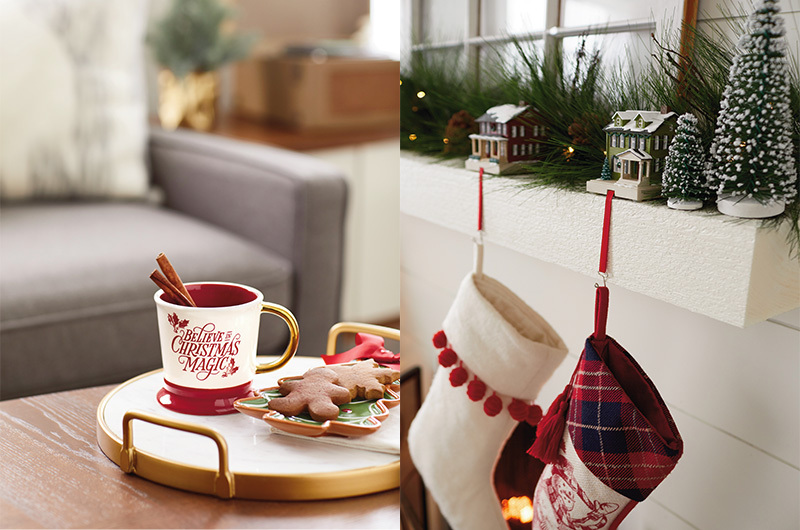 Share your cozy Christmas pictures by tagging @hallmarkstores on Instagram. Could it be any cozier? Front door → Yep. A wreath and lights add a welcoming touch. Sofa → Yes, with throw pillows and blankets. Hot cocoa → Yes! Just add marshmallows. Glass of wine → Yes! If enjoyed in great company. Sugar cookie → Yes! If eaten while wearing your favorite sweater. Strings of lights → Yes, if you embrace a strict “more is more” approach. Reading by the fireplace → Yes! Just add fuzzy socks and/or furry friend. Holiday hug from a loved one → Nope! That’s about as cozy as it gets.